To say China is an important market to General Motors would be an understatement. The automaker, with its SAIC partner, has seen success between its local and imported brand names ranging from Baojun, Chevrolet, Buick and Cadillac. In fact, 2017 marks the 20th anniversary of SAIC-GM’s establishment, and the joint venture won’t be slowing down. Chevrolet has already committed to launching 20 new or refreshed vehicles by the year 2020, but GM announced today 18 vehicles total would be arriving this year across its multitude of brands. Half will be SUVs and MPVs to appease the growing segments in China. Buick will spearhead the 18 new vehicles this year, accounting for one-third of launches. Along with new product, Buick will also introduce all-new 1.0 and 1.3-liter turbocharged engines to advance fuel efficiency through the “Buick Blue” strategy. GM expects good things for Cadillac this year, too, after surpassing 100,000 units sold for the first time in 2016. As for the future, two-thirds of new vehicle introductions will be new energy vehicles of some sort, which could encompass PHEVs, hybrids and BEVs. Buick will introduce the Velite 5, a copy of the Chevrolet Volt, later this year to kick off the new energy strategy. 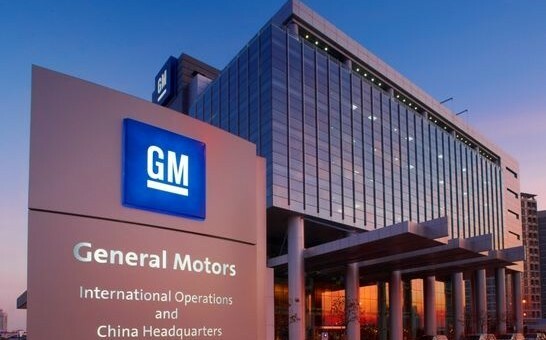 To support all of the widespread changes in propulsion through GM China brands, the automaker will open a battery assembly plant in Shanghai later this year. More information on its assembly should become available later. But, we can’t forget about personal mobility. GM has been busy analyzing data at its OnStar lab and continues to work with Yi Wei Xing – which GM invested in last year to explore China’s car-sharing market. It’s going to be a busy couple of years for GM. is the image still up to date? As far as I know, the “International Operations” moved to Singapore.